The Samsung Galaxy S7 Edge recently won the award for the best smartphone at the Mobile World Congress. The award, given by GSMC, comes at a time when Samsung’s reputation for quality is at an all time low. The company’s fiasco with the Galaxy Note 7 made headlines globally and led to a complete recall of the lineup. 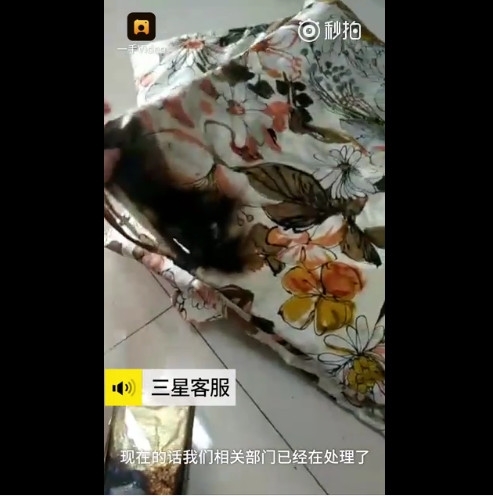 Now, just a week after the Samsung Galaxy S7 Edge received its face saving award, a device has exploded in China. Take a look below for more. 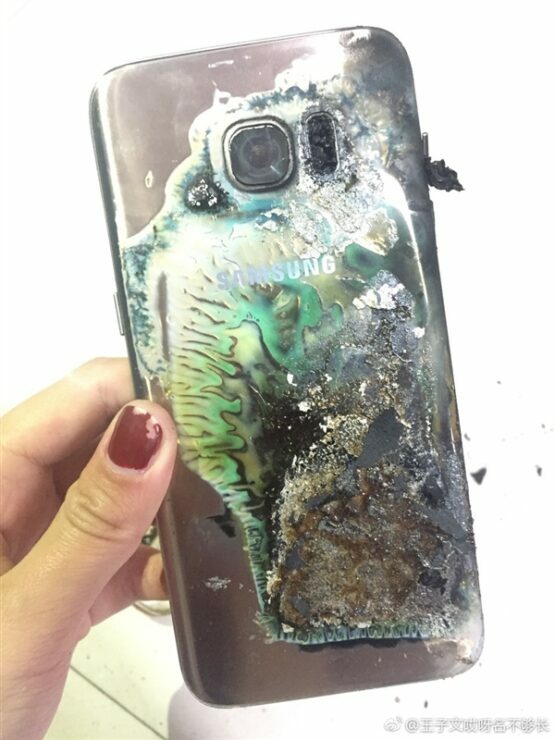 The aforementioned, infamous Galaxy Note 7 has started somewhat of a trend. Now, a report of smartphone or other gadget explosion makes for good headlines. 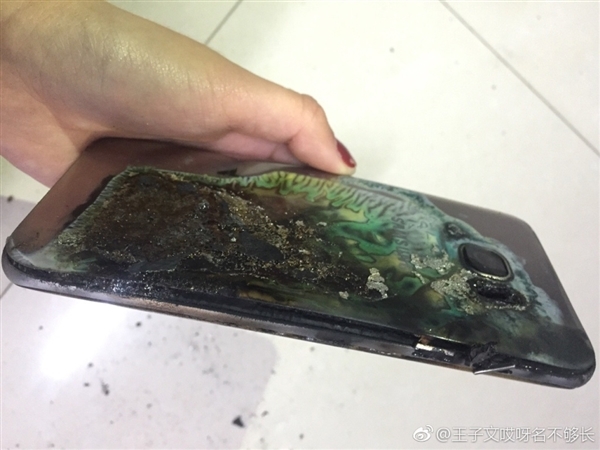 We’ve seen reports of the iPhone 6, the Galaxy S7, S7 Edge and even the MacBook Pro exploding or catching fire unexpectedly. 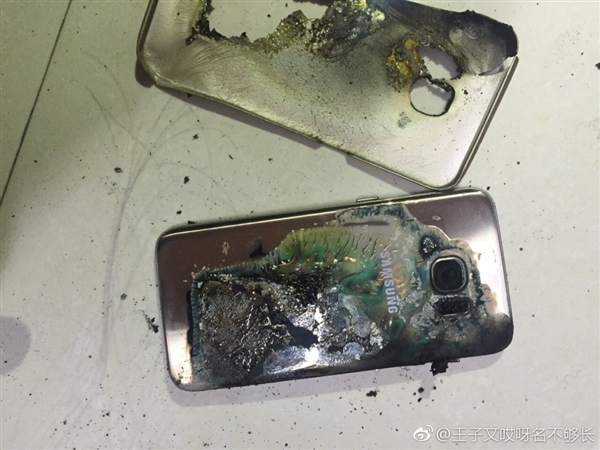 Today, another Galaxy S7 Edge in Northern China has caught fire. 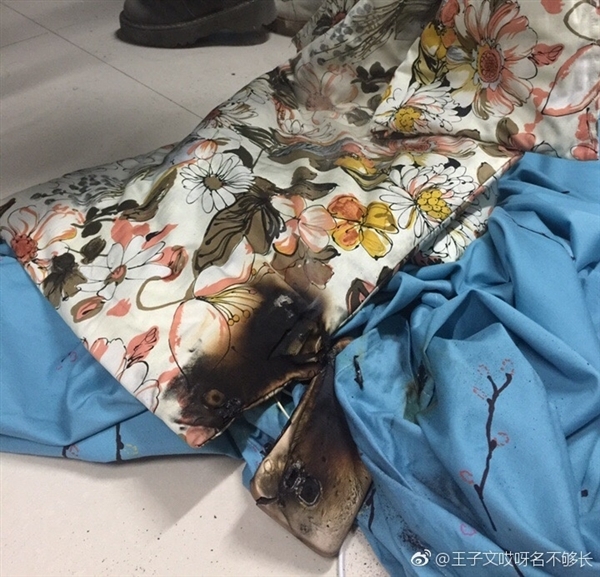 The incident occurred at the Henan North China Water Conservancy and Hydro-power University. The event took place a couple of days back. At around 6 am, students in the girls dormitory of the university woke up due to a ‘pasty’ smell. 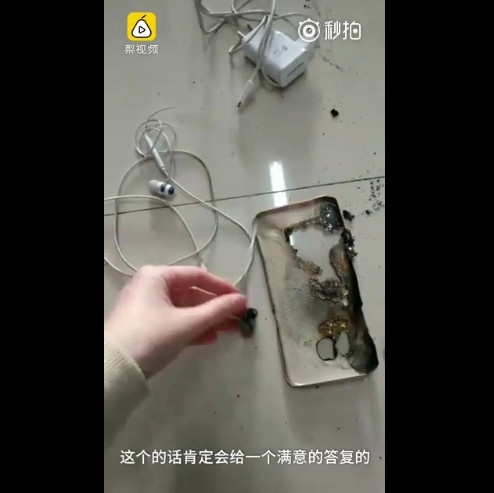 Soon afterwards, one of the students’ Galaxy S7 Edge caught fire and exploded. To make matters worse, the phone in question was on the bed of the student in question. It could easily have led to the bedding catching fire, which in itself would’ve been a much worse disaster. 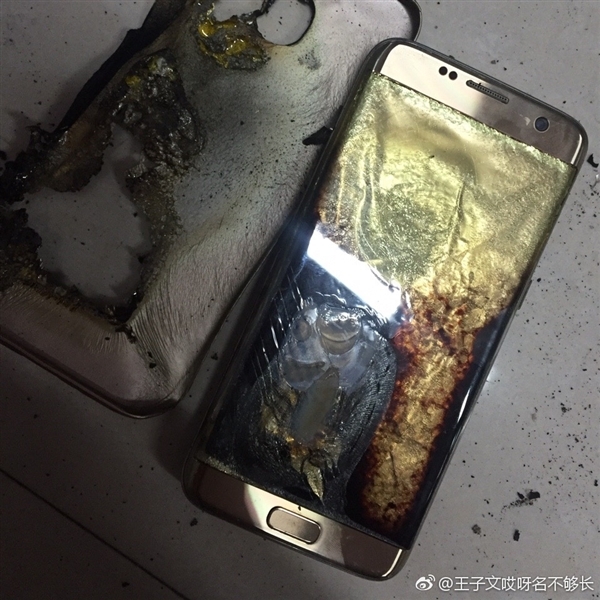 The Galaxy S7 Edge in the images above is completely destroyed and has also burned some of the students’ bedding. Taking a look at the device’s rear shell, we see that the cause of incident is likely the battery. 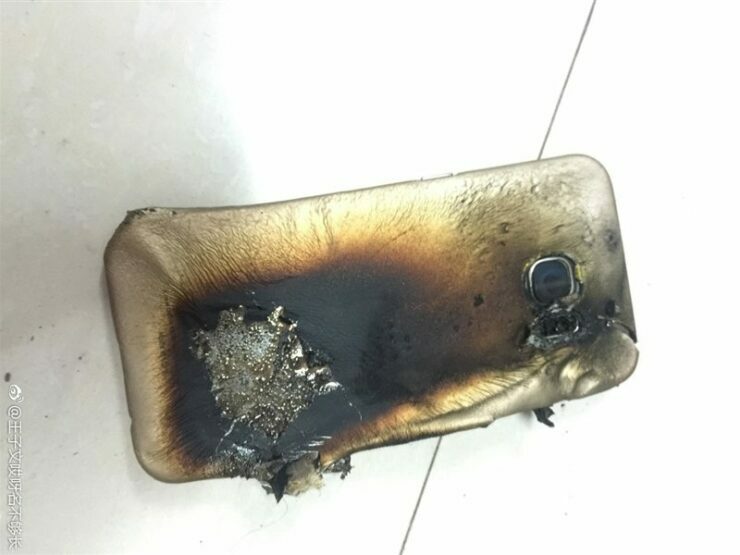 There’s no indication of whether the device was left on charge at the time of incident. Samsung really, really needs to get its ship in order if it wants a permanent place in the smartphone world. This Galaxy S7 Edge was bought in September last year. Samsung’s customer response assures us that the relevant departments are looking in the matter and will provide answers soon. Just goes to show how unreliable technology really can be. Anything that isn’t organic carries with a great potential for organic harm. Let’s just hope Samsung’s launch period extension for the Galaxy S8 bears relevant results. Thoughts? Let us know what you think in the comments section below and stay tuned. We’ll keep you updated on the latest. Why Manufacturers Are Cutting Corners With Smartphone Battery Life?